Spider veins are small, bright red or purple vessels that appear on the face or legs. They often resemble a spider’s web, hence their name. While they may not be as painful as varicose veins, it is a good idea to get spider vein treatment taken care of. Many people in El Paso don’t realize that these unsightly veins can be removed with effective treatments – namely sclerotherapy. Factors can be a family history, hormonal changes, using birth control, and a history of blood clots. While maintaining an active lifestyle and keeping BMI at a healthy level can help, it may not always prevent these pesky veins. The first option is treating the root of the problem: venous reflux of the greater and lesser saphenous veins with EVLT, which will alleviate and even in most cases eliminate symptoms such as pain, itching, swelling, burning, and cramping. Once the problem is treated with EVLT, we can focus on treating the cosmetic surface veins with topical sclerotherapy. Sclerotherapy is an easy outpatient procedure that is great for spider vein treatment. A fluid is injected into the vein. This solution scars and closes the vein permanently. The blood will then travel to healthy veins. 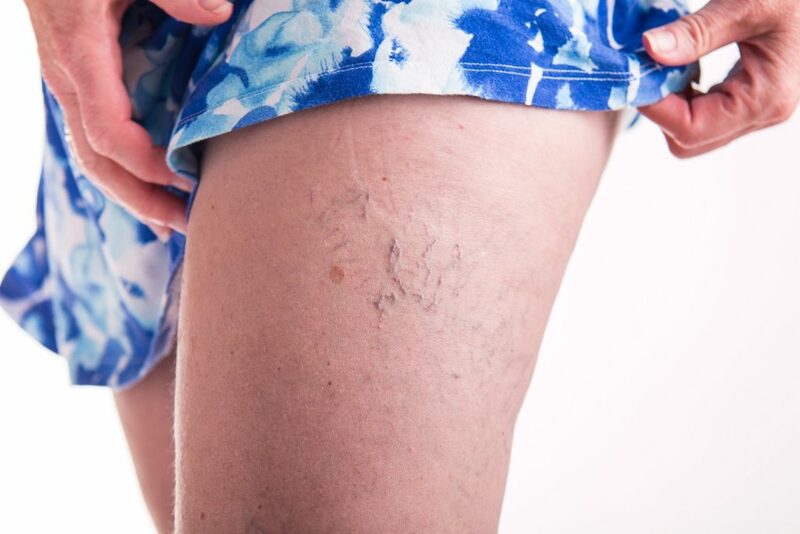 The spider veins will fade away within a few weeks. Some veins do require multiple treatments, however, for full effect to take place. This treatment is also used for varicose veins. This procedure only takes about 15 to 20 minutes and doesn’t require anesthesia. Compression stockings will be worn for a period f 4 days past sclerotherapy. Compression stockings are tight-fitting legwear that help with circulation in the legs by helping the legs to maintain better blood flow. They are also great for reducing swelling and pain. The stockings are great for recovery and for daily wear as well. Using compression stockings will not prevent the creation of veins nor treat the root problem, but they will help alleviate some symptoms. While spider veins may not be as painful as other ailments, they can still be unsightly for those that suffer from them. If you are interested in exploring treatment options and improving vein health in your legs, give us a call at the El Paso Varicose Veins Laser Clinic. We will be happy to set you up with an appointment or answer any of your questions.